We’d love your help. 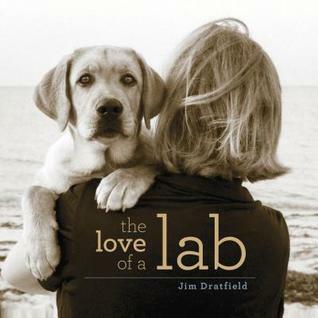 Let us know what’s wrong with this preview of The Love of a Lab by Jim Dratfield. To ask other readers questions about The Love of a Lab, please sign up. Dogphoria celebrates the joy of dogs & their innate ability to experience euphoria in everyday moments of life. Embracing his signature sepia style, renowned fine art photographer Jim Dratfield takes us on an inspiring pictorial journey of happy dogs & reflective quotes reminding us that joyful dogs can elevate our own heights to happiness. Foreward by Dr. Turner-Bell, CBS News Correspondent. In association with PETCO's Think Adoption First Campaign & Leader Dogs for the Blind. Book concept, brand strategy & campaign partnerships are provided by Lynn Isenberg on behalf of author-fine art photographer Jim Dratfield.